We are offering Pet Dematting raketo our client and our product is made of good quality. 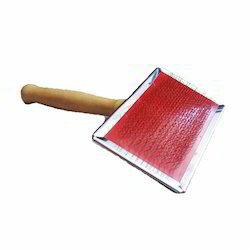 Matching up with the requirements of our clients, we are involved in offering Swinging Cow Brush. With very long years of working in this realm, we are perfect in presenting Pet Club India Dog Scooper in many colors. Dog bath, hair cutting, nail cutting, accessories, verity of dogs & cats foods, pets cloth.